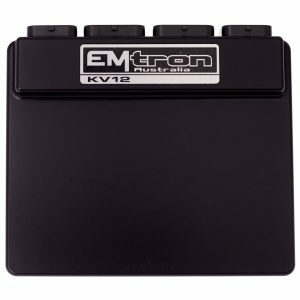 Emtron’s KV8 is a wire-in ECU with extreme flexibility. Industry leading I/O count will ensure you do not have to make any sacrifices when configuring your engine and vehicle. This ECU will support up to 8 Channels of fuel and 8 Channels fully sequential Ignition. 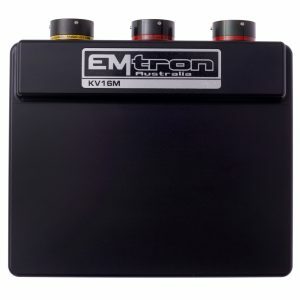 Every KV8 is housed in a durable billet Aluminium enclosure and includes up to 32MB permanent memory for on board logging, 4-channel oscilloscope function, Drive By Wire (DBW) control up to 2 channels, dual LSU4.9 Lambda controllers, dual digital Knock control, Ethernet communications and 3 axis G-force sensing to name a few. The KV8 can control both modes of injection: Saturated and Peak & Hold up to 8 channels. When using low impedance injectors (< 5 Ohms) the ECU uses a switch mode current limiting technique to minimise heat dissipation in the Injector. This gives better injector control and helps maximize injector life by lower its operating temperature. Required when injector resistance is greater than 5 Ohms. Unassigned Fuel channels can be used to switch or modulate resistive and inductive load. The KV8 supports up to 8 Ignition channels. When the Ignition output is not configured to drive an ignitor, it can be used to switch or modulate a resistive or inductive load to ground. 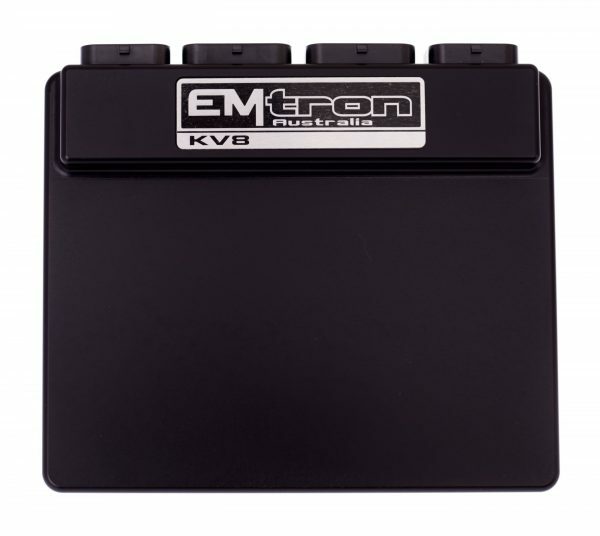 The KV8 has 14 Digital Inputs providing Frequency and Switched based inputs into the ECU. These inputs have a high level of configurability allowing easy interface to all sensor types. Digital Inputs 1-8 can be used to measure frequency, while all channels can accept a switched input. VVT position(s) up to 4 channels available on DI 1- 4. When not used as frequency or switched inputs these channels can be used to measure analog signals. All channels have over voltage protection with an input range of 0.0 – 20.0V. The KV8 has 16 Auxiliary Outputs with a wide variety of driver types to suit all applications. These drives are suitable for controlling relays, resistive and inductive loads, stepper motors, DC servo motors and electronic throttles. All outputs are short circuit and over current protected. Analog input channels 1-16 are sampled using high resolution 12-bit analog to digital converters with a 0.0 -5.000V input range. All channels support ratiometric and absolute 3-wire based sensors such as MAP, Throttle position(s) and pressures etc. Channels 7-12 also support thermistor 2-wire sensors such as engine temperature, inlet air temperature with switchable 1k ohm pullup resistor control. This ECU supports dual Knock control using inputs from a piezoelectric sensor. Each knock input is fully differential, giving superior common-mode noise rejection in the harsh automotive environment. 2 Independent knock input channels with fully differential inputs. This ECU supports on-board dual Lambda controllers using the Bosch LSU4.9 wide band oxygen sensor. The KV series regulated supplies are designed for the harsh automotive environment. They include protection from reverse battery, jump starting transient voltage surges and automatic shutdown when the output is shorted to ground. This ECU supports the control of an EFI relay, allowing for management of its own power supply. To achieve this a dedicated Ignition Switch input and dedicated EFI Relay output are used. © 2019 Emtron. All Rights Reserved.